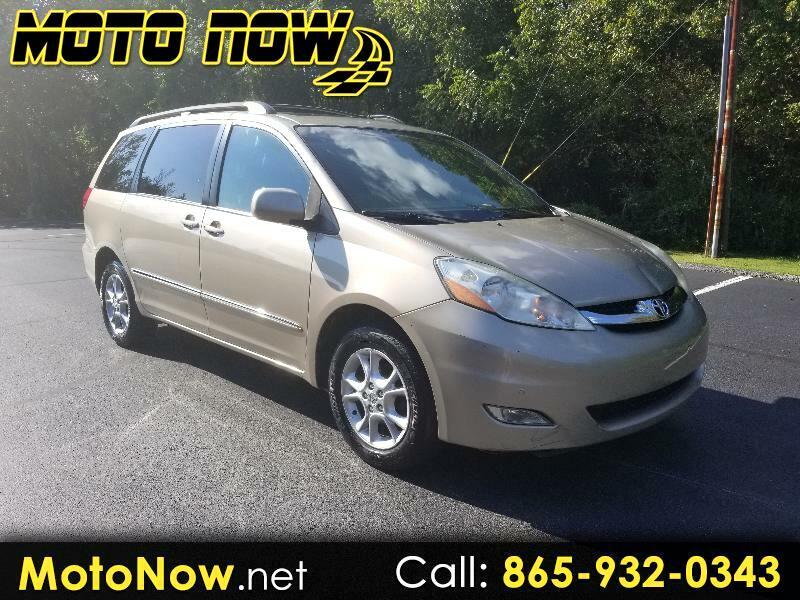 **** CASH SALE ONLY **** The Toyota Sienna is roomy, comfortable and does everything well. It's easy to live with and comes loaded with features that make life easier and more convenient. Everything operates exactly as people expect, so equipment struggles are rare. Its smoothness and convenience allows the vehicle to fade into the background while you go about your life. On the road, the Sienna delivers a smooth ride, responsive handling, and brisk acceleration performance. Its 230-horsepower V6 engine and five-speed automatic transmission deliver responsive throttle response while variable valve timing assures good fuel economy. The Sienna is rated to tow up to 3500 pounds. The Sienna has a strong reputation for safety. Front seat-mounted side-impact airbags plus side curtain airbags for all three rows are now standard on all models. A rear-view camera is available to help the driver spot objects or children behind the vehicle when backing up. All-wheel drive is available for more secure travel in foul weather well. In short, the Toyota Sienna is one of the best minivans available for 2006, and it may be the best. Completely redesigned for the 2004 model year, the Sienna features gets some upgrades for 2006. The styling has been freshened in the form of new headlamps and fog lamps, a revised grille, and redesigned tail lamps. A new power folding third-row seat for the Sienna Limited model makes switching from carrying people to cargo easier. The available rear-seat entertainment system features a larger, nine-inch LCD screen, while a universal mini-jack port now comes on all audio systems for connectivity to portable music players. New, power folding mirrors on 2006 Limited models feature puddle lamps and turn signals. New Optitron gauges, similar to those used by Lexus, come on 2006 LE, XLE and Limited grades. LINEUPThe 2006 Toyota Sienna comes in four trim levels: CE, LE, XLE, and XLE Limited. All come with the 3.3-liter V6 and five-speed automatic. All are equipped with anti-lock brakes (ABS), electronic brake-force distribution (EBD) and brake assist, which together help the driver maintain control when braking and swerving to avoid an accident. There's a choice of front-wheel drive and all-wheel drive. All models come standard in seven-passenger configurations; eight-passenger variations are available on the CE and LE. Sienna CE ($23,625) and all other models come standard with a 60/40 Split & Stow third-row bench seat, power windows, door locks and mirrors, sliding doors on both sides with power windows, keyless entry, AM/FM/cassette/CD with six speakers, and dual-zone (front and rear) air conditioning with rotary dial controls. The CE comes with 16-inch steel wheels with 215/65R16 all-season tires, captain's chairs for the first and second rows (for seven-passenger capability), a folding tray table between the front seats, tilt/telescopic steering column, black lacquered interior trim, tire pressure warning system, variable intermittent front and rear windshield wipers, 10 cup holders, four bottle holders, three 12-volt power outlets, and a heavy-duty rear window defogger with timer. All grades now have a universal audio mini-jack port and MP3 capability standard. New High Solar Energy-Absorbing glass on the windshield and front side windows helps reduce cabin temperature. An eight-passenger CE is also available ($23,775). The Sienna LE ($25,130) is the most popular model. The LE comes with nicer cloth fabric, upgraded trim, the new Optitron instrumentation, and a host of convenience features: engine immobilizer, audio controls on the steering wheel, heated power mirrors, a roof rack, privacy glass, cruise control, driver's seat manual-adjustable lumbar support, illuminated vanity mirrors, color-keyed license plate garnish, and a fold-flat front passenger seat. The LE is available with all-wheel drive ($28,745). It's also available as a front-drive, eight-passenger model ($25,280). Sienna XLE ($29,425) is more luxurious, with yet another level of upgraded fabric; dual power sliding side doors and a power open/close liftgate; tri-zone climate control (driver, front passenger, and rear) with air filter; 16-inch alloy wheels; eight-way power adjustable driver's and front passenger's seat; six-way power adjustable passenger seat; JBL Synthesis 360-watt AM/FM/cassette/CD stereo with 10 speakers, rear seat audio controls and wireless headphone capability; overhead console with trip computer, outside temperature display, and HomeLink universal transceiver garage door opener; leather-wrapped steering wheel with audio controls; wood-grain trim, in a lighter grain for 2006; chrome door handles; color-keyed heated power mirrors; auto on/off headlights; fog lamps; an anti-theft alarm; removable center console; and 16-inch aluminum wheels. XLE is available only in the seven-passenger configuration. XLE is available with all-wheel drive ($32,630). The XLE Limited ($35,880) adds leather-trimmed seats and other luxury features. XLE also comes standard with dynamic Laser Cruise Control, wood grain/leather steering wheel with audio controls, six-disc CD changer, second- and third- row sunshades, high intensity discharge (HID) headlamps, driver and front passenger heated seats, chrome accents on bodyside molding, grille and rear license plate garnish, daytime running lights, windshield wiper de-icer grid, an auto-dimming electrochromic driver's side mirror and inside rearview mirror, 17-inch alloy wheels with 225/60R17 all-season tires, and heated outside mirrors with memory, puddle lamps and integrated turn signals. The Limited is available with all-wheel drive ($38,080). Safety equipment on the XLE Limited is upgraded with electronic stability control (VSC) with traction control and Brake Assist, rear disc.